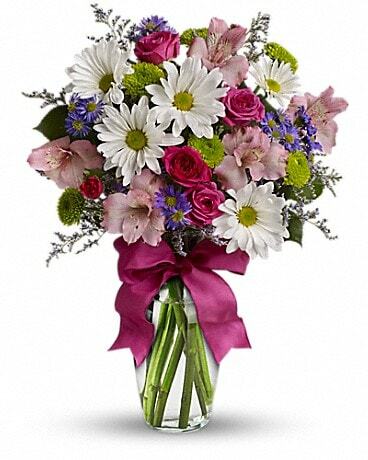 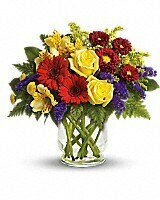 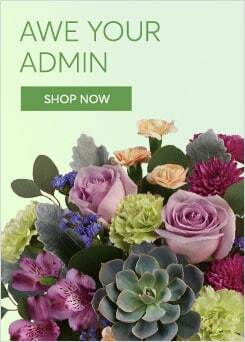 You'll want to put this colorful bouquet on your hit parade of gifts to send. Bold primary colors and a perfect mix of flowers make it great for men and women of all ages. 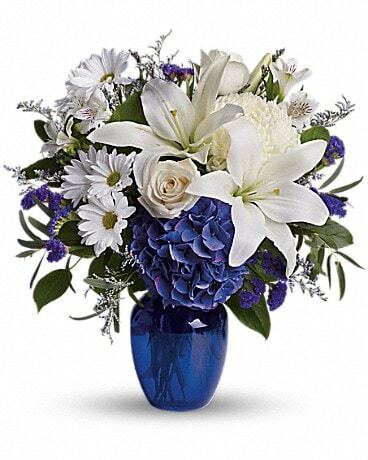 In other words, it's a perfect arrangement. 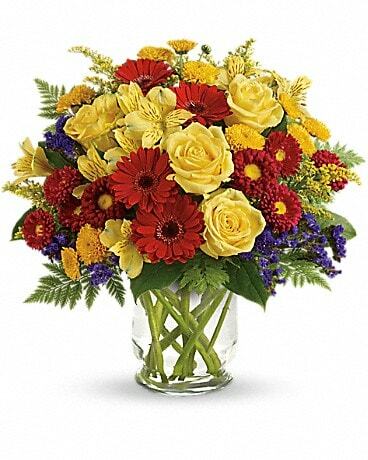 Yellow roses, alstroemeria, and button spray chrysanthemums, red miniature gerberas and matsumoto asters along with purple statice, salal and fern are delivered in a lovely clear glass vase. 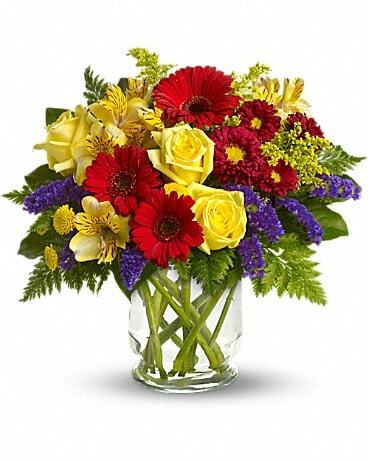 It's a garden parade to be proud of!